Are you looking to add a quirky touch to your home but are reluctant to overdo it? There are many ways to present the fun side of your personality in the décor of your home without spending too much money or time on it. Here is one way to inject some eccentricity into your humble abode: with the use of some eclectic door knobs! They may be the most overused yet overlooked item in the house but once you have an interesting one to replace the generic, boring knob, anyone and everyone who touches them to open the door will definitely give it more attention that a door knob usually gets. This one doesn’t talk in real life but look at how fun it is! Do you remember this Doorknob that speaks to Alice in the Alice in Wonderland animation movie? The kids are sure to love this wonderful doorknob and it will definitely bring back your memories of this classic movie as well. This is perfect for those who are gothic at heart. Is it creepy or quirky? This transparent skull doorknob works well with a dark-colored cast-iron or wooden door to complete the ‘Dracula’s Castle’ look. Greet your guests right at the door! Your guests will be duly impressed with this doorknob if you choose to install this at your main door; what’s better than to be greeted even before they step into your home? 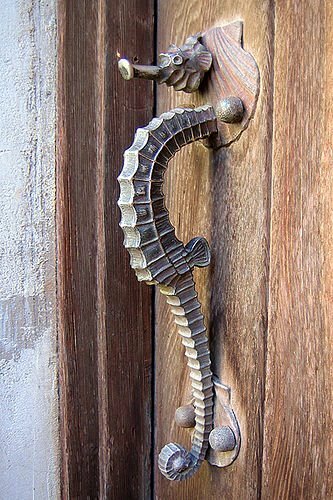 This is more of a door handle than a door knob and its unique look will make a great addition to any home, especially if you are a fan of all things aquatic. The brass material of the sea horse adds a vintage touch to any home and it truly stands out without being overly fancy. You’ve got a frog on your door knob! 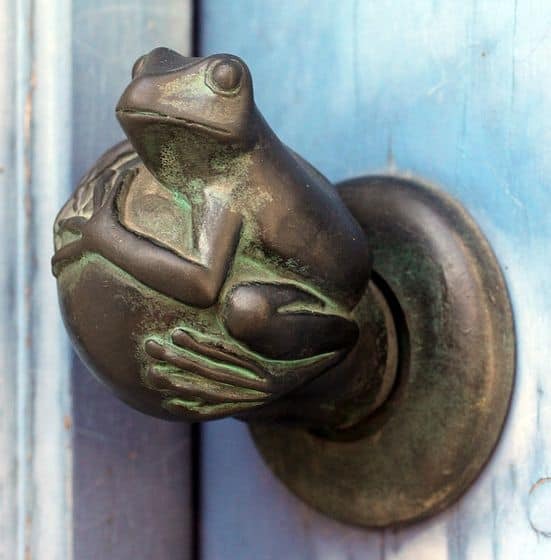 Here you go, a frog hanging onto your door knob. This will make a great door knob on the children’s room door to add some fun to the house. You’ve got a tentacle on your door! It doesn’t get any more different than this door knob. 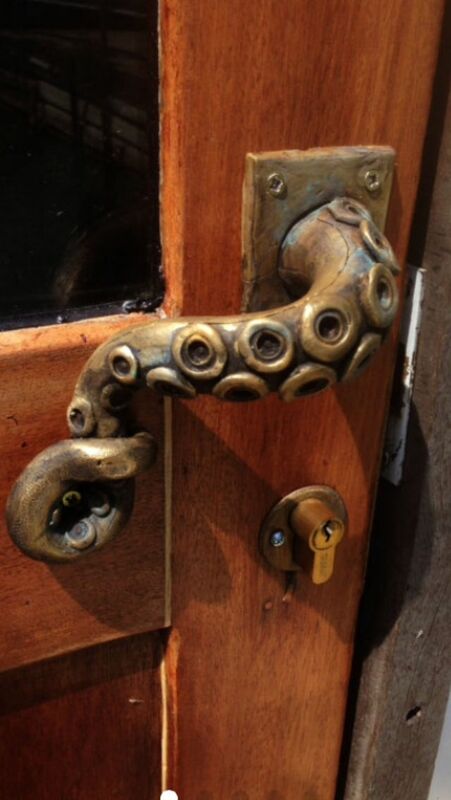 Create the illusion of you keeping an octopus as a pet on the other side of the door with this interesting tentacle door knob. 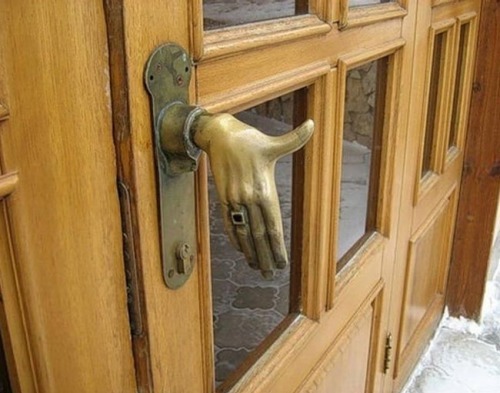 The creativity behind this door knob will have everyone in stitches! For the consummate Nightmare Before Christmas fan! 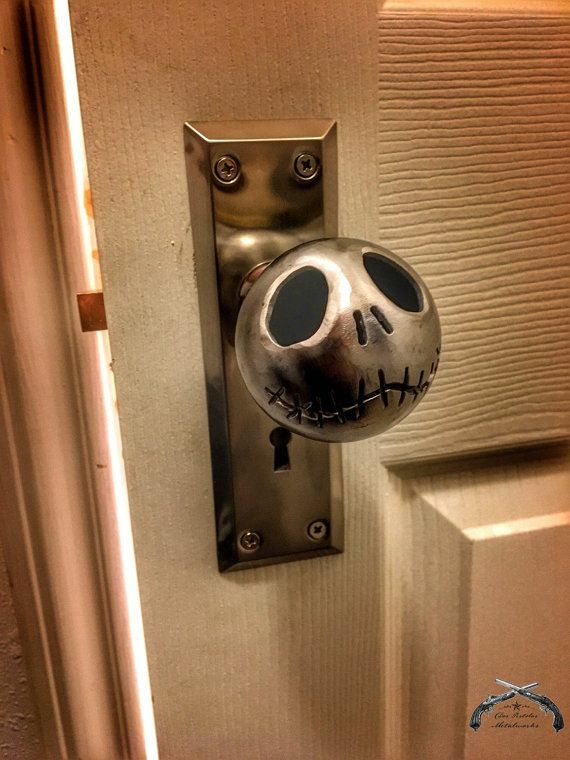 Adorn your doors with this beautifully-crafted Jack door knob and shout out your love for this gothic, Tim Burton-directed animation movie. 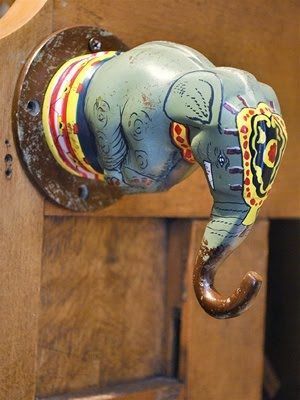 Not only is this blue elephant door knob absolutely stunning, it is also very intricately painted and its Indian-inspired styling will make a great addition in any home to add a touch of sophistication and culture. Are you inspired by these quirky and beautiful door knobs? Just know that you do not need to settle for the boring old door knob with these fun designs available in the market. Whenever you are ready to change things up at home, send in your enquiries here and let us help!